THE “SECRET” TO THE GAME? 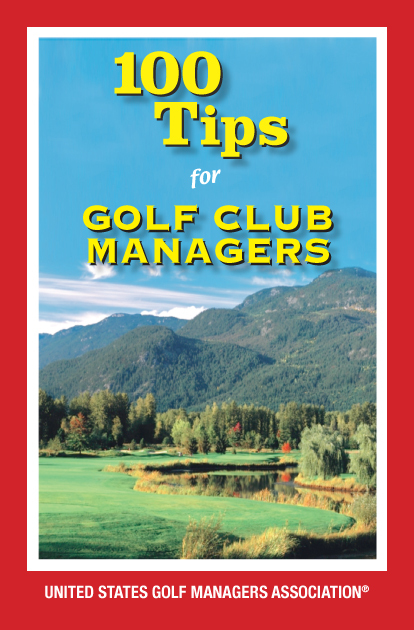 For the 40 years that I have played golf, I have been hearing about the so-called “Secret to the Game.” I suppose golfers consider this secret to be the shortcut to scratch golf, a pearl of knowledge that trumps all else. Ben Hogan told us to “dig it out of the dirt.” To me, this means don’t be so foolish; just practice hard and create your own method or “Secret.” If you examine the method of any great player, some things are obvious. If you look at the way the best players hold the club (grip), there are many subtle variations that allow for great ballstriking. No two players have the same golf swing. When watching golf on TV, you’ll see everyone’s swing is different. There are quick, slow, short and long backswings. Finishes high or finishes low and left – both have been employed to good use. There have been at least two ball position theories for as long as I can remember: 1) Move the ball back for the short irons and move the ball forward as the clubs get longer; 2) Leave the ball in a constant position (depending on whether it is on the ground or on the tee) and widen or narrow the stance with the right foot only. Realizing that Hogan, Jack Nicklaus and Byron Nelson all agreed with the second ball position theory, I think we have a chance there to start to find a real pearl. Nicklaus played the ball near his left heel and Hogan a little farther back in his stance, but they kept it constant after settling on a basic position. So, with so many things about the swing differing or negotiable, what is the something that all good players do, or that might be the “Secret”? All good players touch the ground in the same correct place when they swing the club. They can make the club hit the ground in the correct place, from the correct direction and at the correct depth with every club. That place is near the left heel. A correctly swung club bottoms out just behind a teed driver and just in front of a ball on the ground. I watch people make practice swings and they hit the ground well behind where they intend to put the ball, or they hit the ground someplace different every swing, or they hit the ground in the same place, but it is the wrong place (back by their right foot, for instance). I’ve had new students tell me they have never made a correct divot in their entire golfing career. When I am working with a student, I explain to them that until they can hit the ground up by their left heel, there is only a limited number of clubs they can hit (short irons) and they will probably never be consistent with their irons and driver on the same day. Their irons will be good and the driver bad and the one day the driver is good, the irons go south. This happens a lot to the person who thinks they must move the ball all over their stance. Think about it. They hit a drive to start the hole (left-heel ball position), and then they hit a 9-iron out of the back of their stance. Then they hit a driver again and then some other iron and this goes on the whole round. These people end up with a favorite club, which is the one club they get the ball position and stance width correct. The point is, they are never putting the club into the ground in the same place two swings in a row. They think golf is a major “hand-eye move” and search for the ball with their hands on every swing. I teach my students to hit the ground in the front of their stance with all clubs. They learn that their weight must be on the left foot where the divot will begin. Most times the swing will bottom out where their weight is. So, at impact, your weight must be where you want the divot to begin. Either you shift your weight there or you begin with your weight there (wedge play, pitching and chipping). If, every time your students make a practice swing, they touch the ground lightly by their left heel, they have gone a long way in striking solid golf shots. When they are getting ready to play an iron shot out of the fairway, they should see the practice swing hit the ground lightly, just in front of the ball they intend to hit. They shouldn’t go to the ball until they loved that last practice swing. Then, when playing the shot, they are only trying to reproduce what they felt seconds earlier in the practice swing. By focusing on touching the ground in the same correct spot, the player learns to find the correct width of stance with each club. If their stance is too wide, with a given club, then it will be hard to get their weight past the ball over to their left foot. So, it really doesn’t matter how much attention you pay to other aspects of the game if your students can’t control where their swing hits the ground. When giving a lesson, I know a student is ready to hit balls when they can show me swings that consistently touch the ground correctly. When all swings, with any club, can deliver a square clubface past the left heel, then good shots with any club in your bag is a reality. Sometimes the real “Secret” might be so simple that we look past something that is obvious. Ask your students to understand and focus on touching the ground in the best spot and this “Secret” can become something that should be common knowledge.